Four teams of university students have been selected to develop and conduct their hypergravity experiments during ESA's sixth 'Spin Your Thesis!' campaign, to be held 7-18 September 2015. The campaign will take place at the Large Diameter Centrifuge facility located at ESA's European Space Research and Technology Centre (ESTEC) in Noordwijk, the Netherlands. Two teams will use the centrifuge equipment during the first week, followed by the other teams during the second week. Dynamics: A team of 2 PhD students from the University of Glasgow (United Kingdom) studying mechanical engineering and chemistry. Their goal is to determine the effect of gravity on drilling in granular material. In this experiment the team will study the conditions of ultrasonic vibration required to penetrate granular material with reduced force. HyperMed: The team is composed of 2 PhD students and 1 MSc student from the University of Bucharest/NILPRP (Romania) studying physical and chemical sciences. The main objective is to study the impact of gravity on the wettability of surfaces by bulk medical drug solutions or droplets. The results may help in development and modification of surfaces to avoid extensive biocontamination within a spacecraft. LINVenus: The team is composed of 2 PhD students from the University of Florence (Italy) studying plant physiology and agricultural sciences. They will be studying electrical activity and the role of membrane channels in the closure mechanism of the carnivorous Venus flytrap plant, and the effect of gravity on this behaviour. MAH: A team of 3 PhD students from the Aristotle University of Thessaloniki (Greece) studying predictive microbiology and food processing. They will be studying how micro-organisms are affected by exposure to hypergravity and heat stress. Their results will help to improve knowledge of the characteristics of micro-organisms and modify sterilisation procedures, with possible implications for the search for life in extraterrestrial environments. 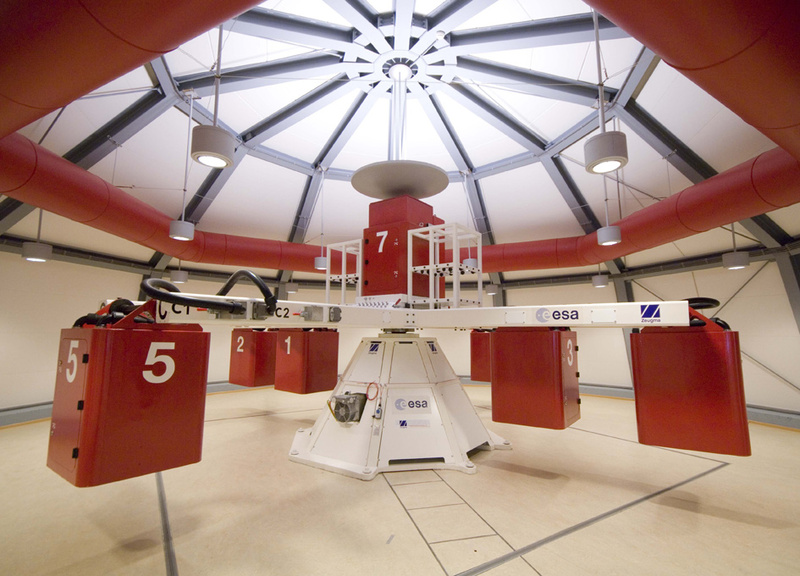 During the preparation of their experiments, the students will be supported by ESA's Education Office and experts in charge of the LDC facility. Members of the European Low Gravity Research Association (ELGRA) will also be on hand to provide advice and expertise in microgravity and hypergravity research. ESA will offer financial support to the selected teams to cover part of the cost of the experiments hardware, travel and accommodation. If you want to see what these campaigns are like, watch our videos: Spin Your Thesis!